As a few of my followers will know, I have cut my hair in a pixie cut and I have had this hairstyle for over a month now. Styling my hair has been a new experience and finding the right products for my hair was actually a walk in the park. 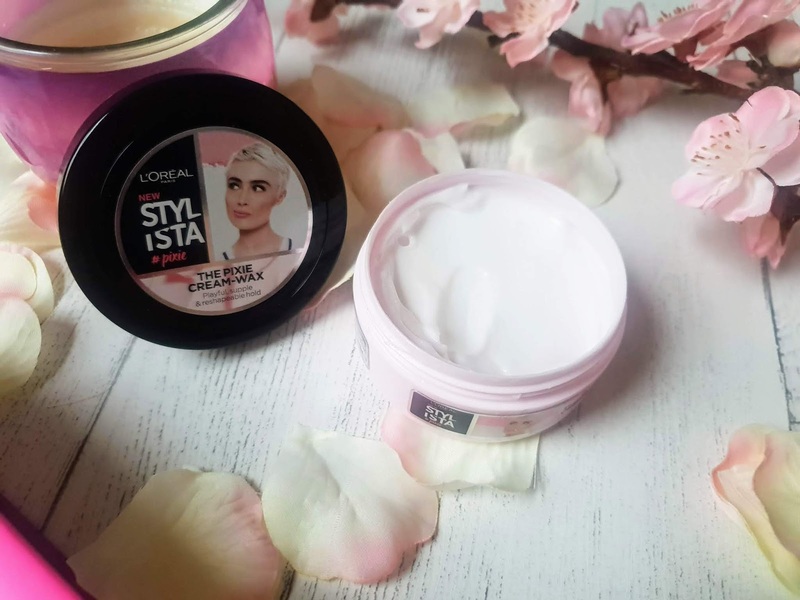 They are so many choices to choose from now that it was pretty easy for me to choose this Loreal Stylista the pixie cream which is a styling wax for short hair like mine is right now. Loreal is a big name and sell a variety of different products including makeup, haircare and even hair dyes too. This is the first time in using haircare product of theirs. I just love how pink and cute the packaging looks! 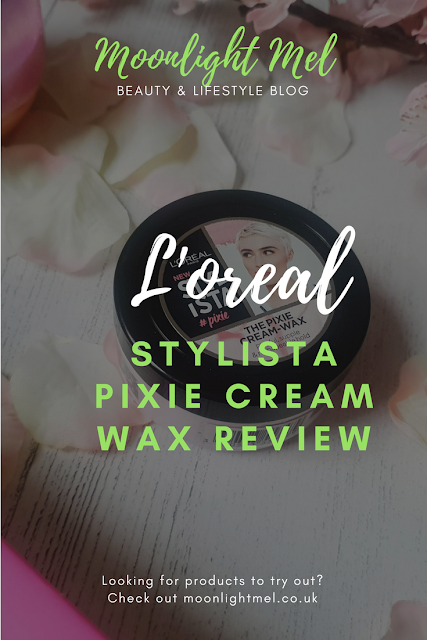 I think its quite small but the design is very nice as it shows you a pixie hairstyle ( one I try my hair like) and the necessary info you need about the product too. This feels really cool on the first touch and the texture is a bit like a denser version of conditioner. It is soft enough to pick up enough and it melts nicely into hands ready to onto the hair. It doesn't have a wax feel at all and is more like a cream. This has a nice delicate floral/fruity scent which is really nice and refreshing. It has pomegranate extract and is also alcohol-free. PARFUM / FRAGRANCE. (F.I.L. C212696/1). Scrunch and pinch for more definition. I love the product and can't fault it at all apart from the fact it says 48 hours hold, I personally don't think so as I feel the need to wash my hair after a days wear with this as it makes my scalp a little bit greasy. Applying this is quite easy and it works a dream with the hold, I have had many a compliment with this pixie cream. I love the scent of the product and the fact its non-greasy on the hands too. 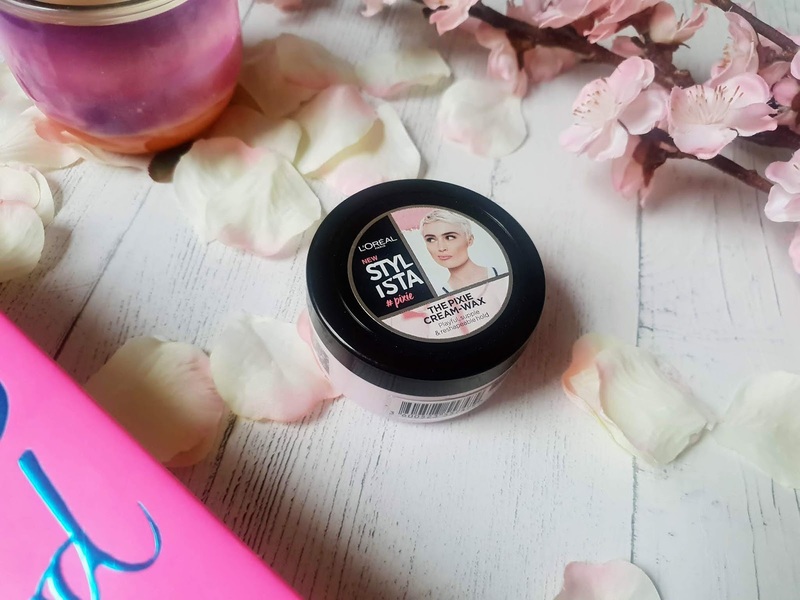 I am very happy to add this into my hair styling routine and would recommend it to anyone with short hair, pixie hair or just want a defined fringe. What are your favourite hair styling products? Ooh this sounds interesting! I'd definitely want to use something like this if I ever had short hair as I love a messy style. The packaging is super cute too but it's a shame about the greasy thing - I suppose at least it's good in every other way! I don't have a Pixi cut but this is helpful to know and will share this product with the people I know who have short hair. Thanks for sharing! This sounds lovely and the scent sounds yummy too! I don't really style my hair, it's really long and styling it takes too long and it NEVER stays in either so I usually just straighten my fringe and leave the rest!